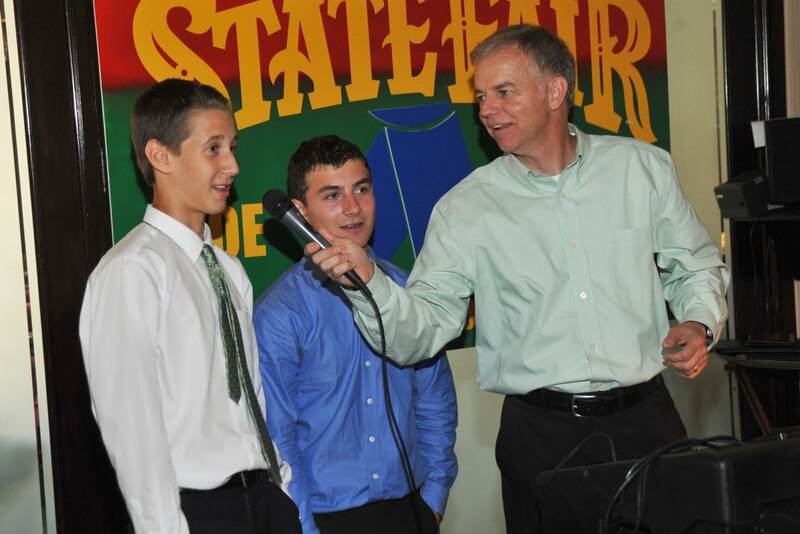 Who doesn’t love the State Fair? 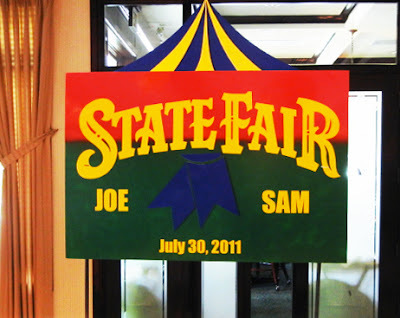 The food, the rides, the animals, the beautiful home grown fruits and vegetables, did I mention the FOOD?…I love it all. Our State Fair theme party last weekend was timely in that our own State Fair started just a few days ago. So, this Bar Mitzvah was a great kick off to the upcoming fair festivities. 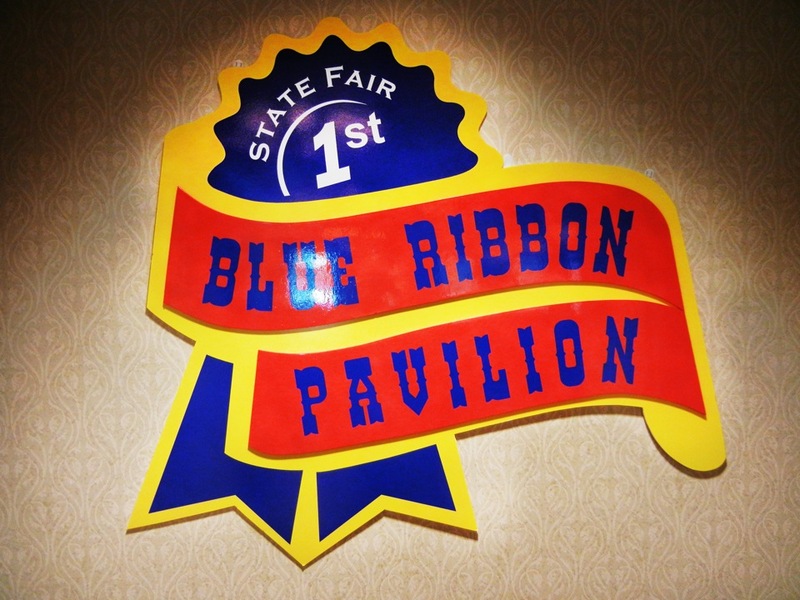 The adult side of the room was called the Blue Ribbon Pavilion. 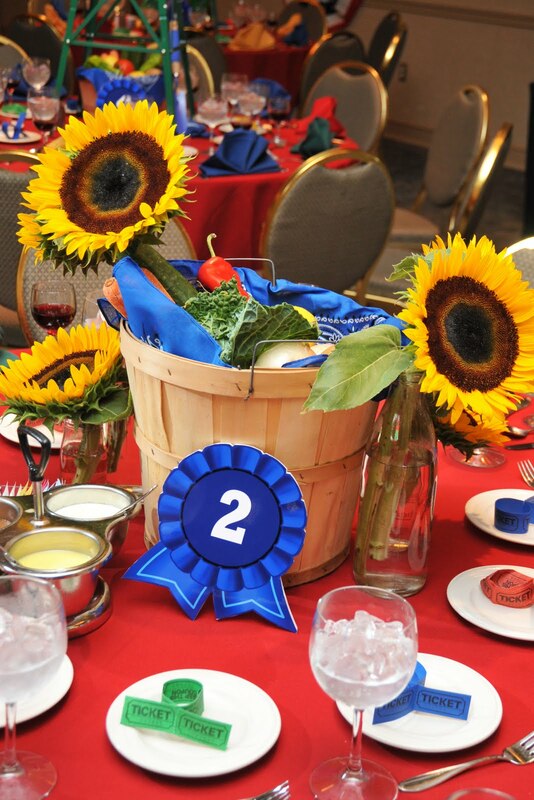 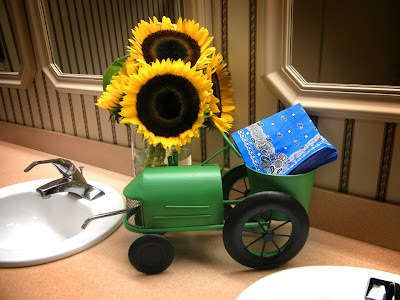 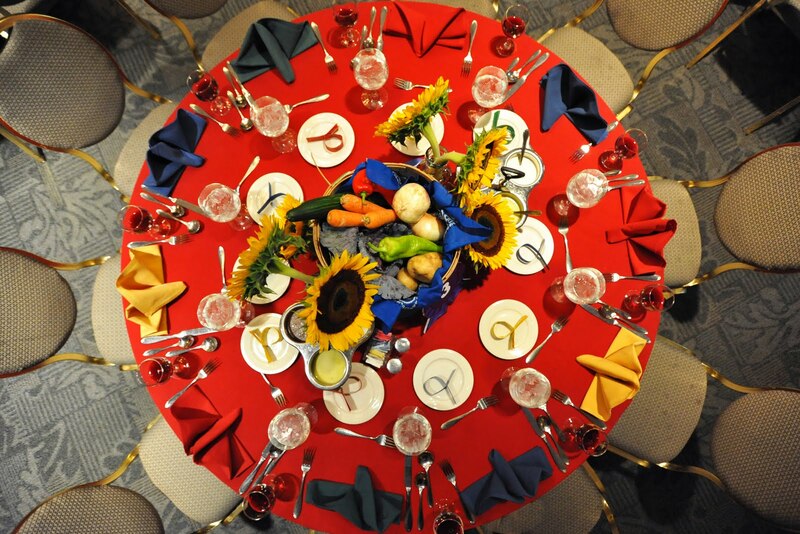 Centerpieces were bushel baskets full of farm fresh veggies and beautiful sunflowers. 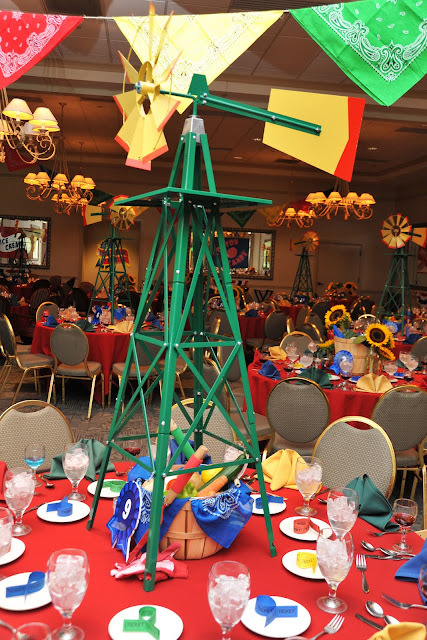 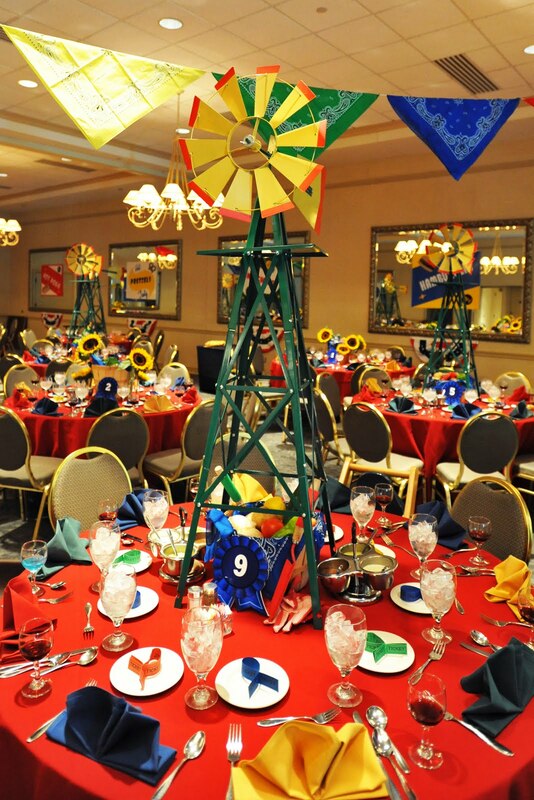 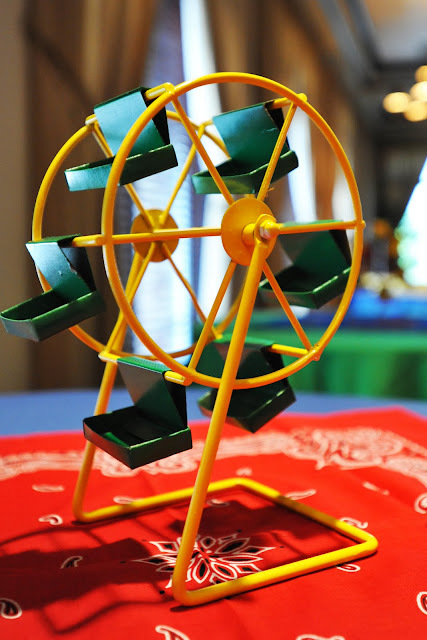 The other half of the adult centerpieces were miniature windmills. As a part of the mitzvah, the fresh veggies were donated to Second Helpings after the event. The kids section was the MIDWAY! 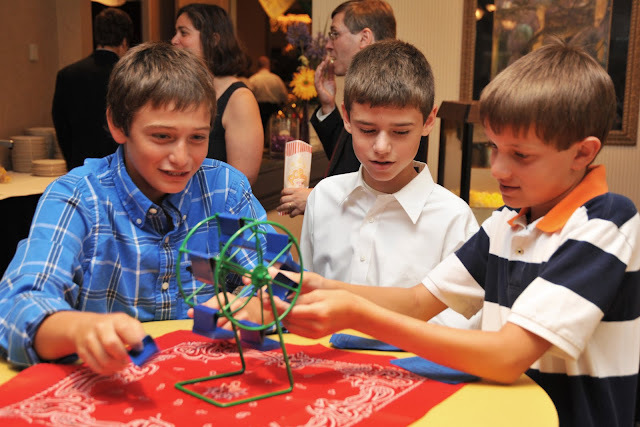 Each kids table was a different midway ride. 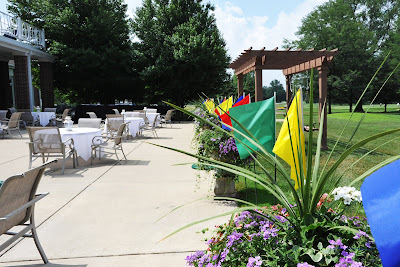 We lined the outside cocktail area with bright colored flags that you could see from the street. 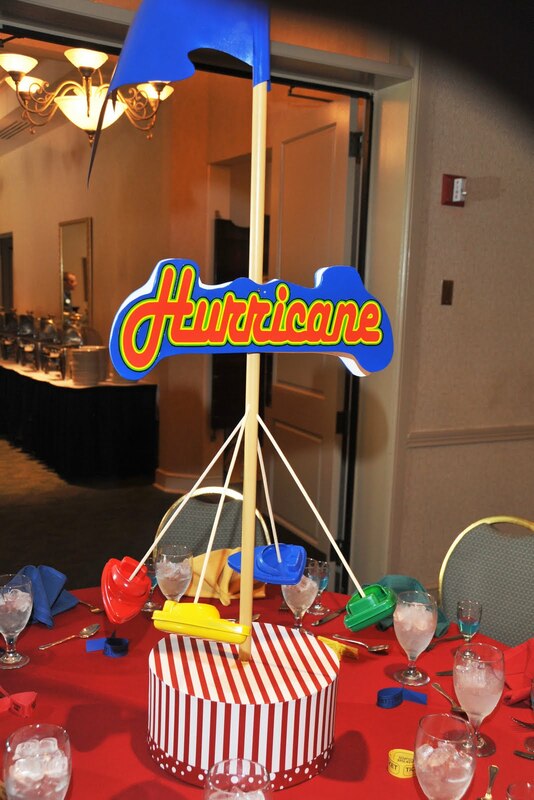 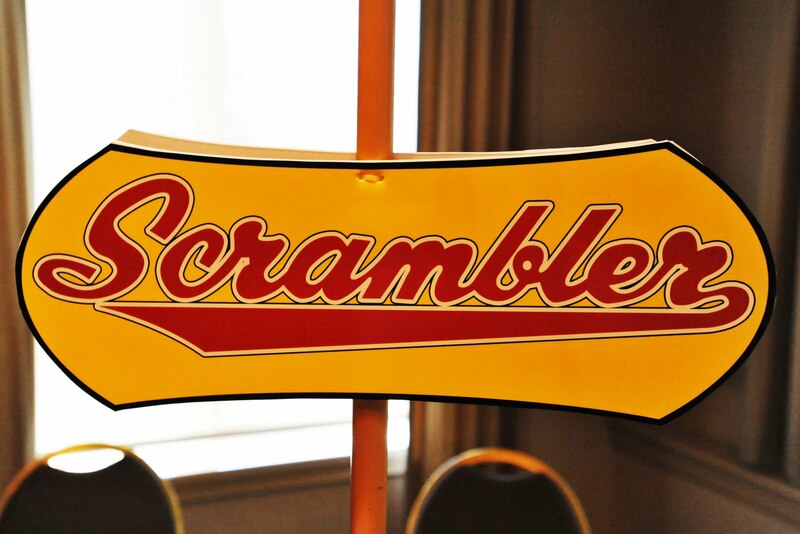 All the photos were taken by the fabulous Sue Huffer of Sue Huffer Photography. Tim Fuller of Tim Fuller Entertainment did an amazing job of keeping the dance floor full the entire event. 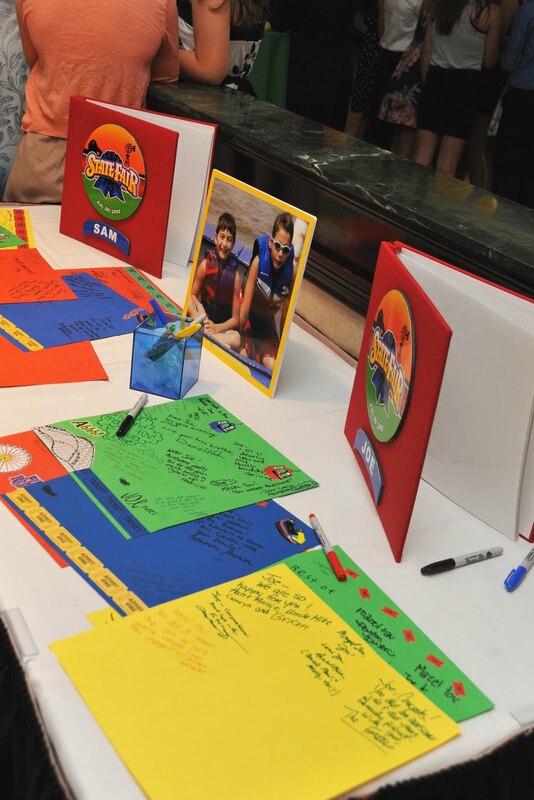 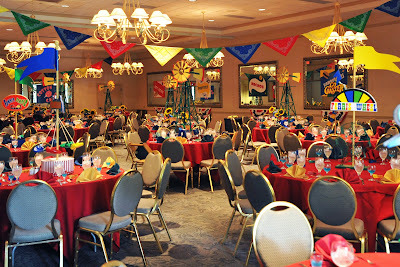 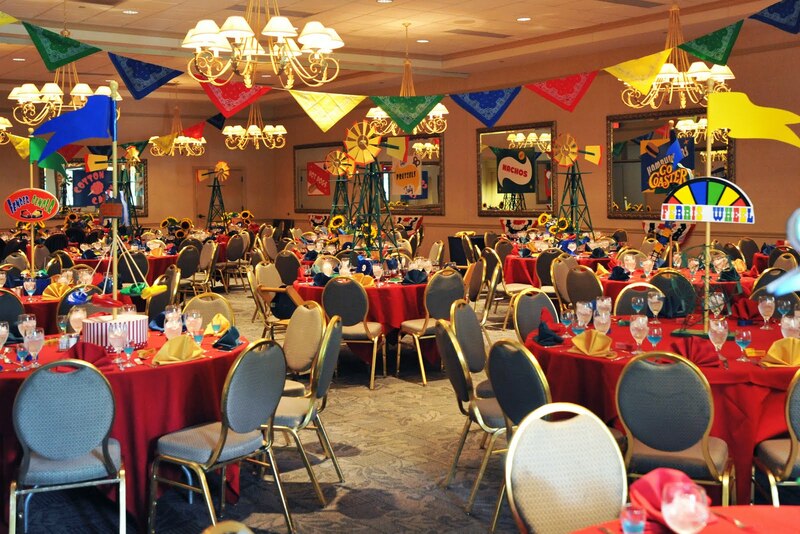 The party was held at the beautiful Broadmoor Country Club. 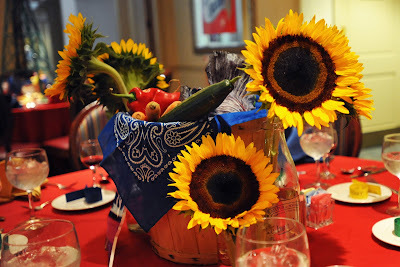 The incredible home grown sunflowers came from Seldom Seen Farms. 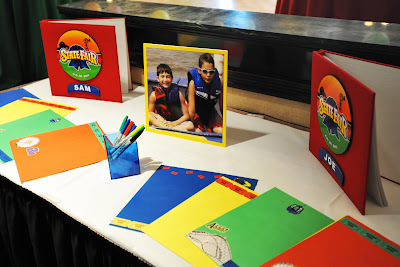 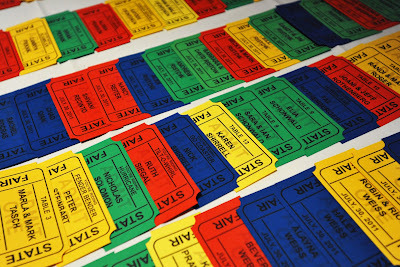 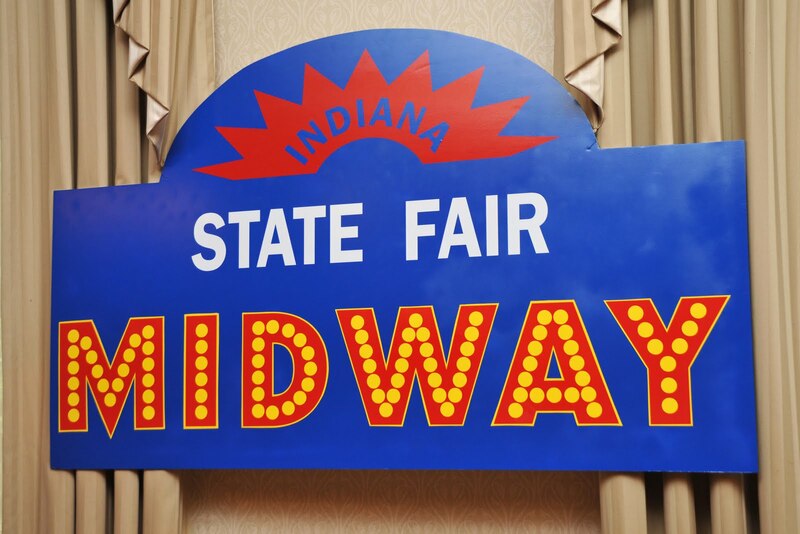 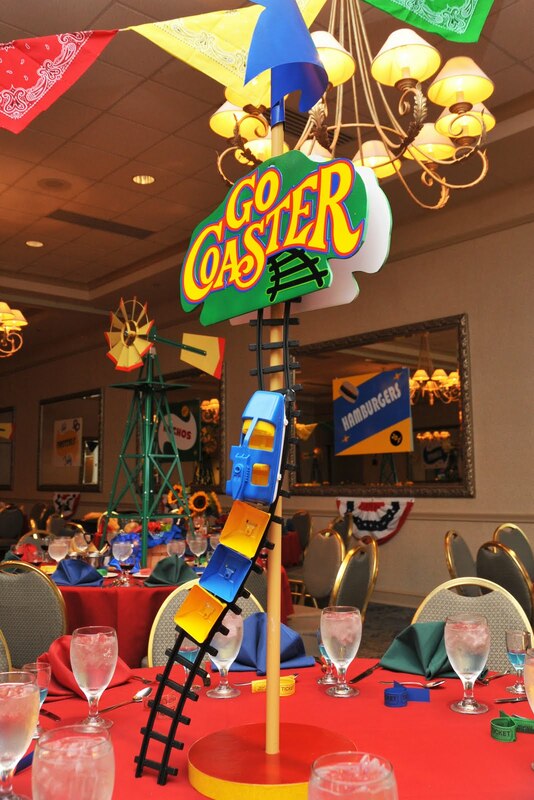 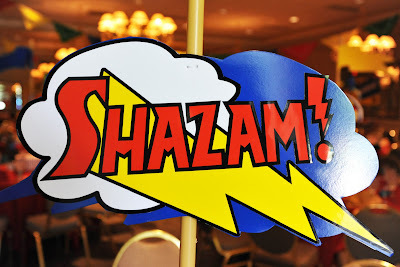 This entry was posted in Bar Mitzvah, Carnival Rides, Farm Party, Ferris Wheel, Midway, State Fair Theme Party on August 8, 2011 by Setting the Mood.